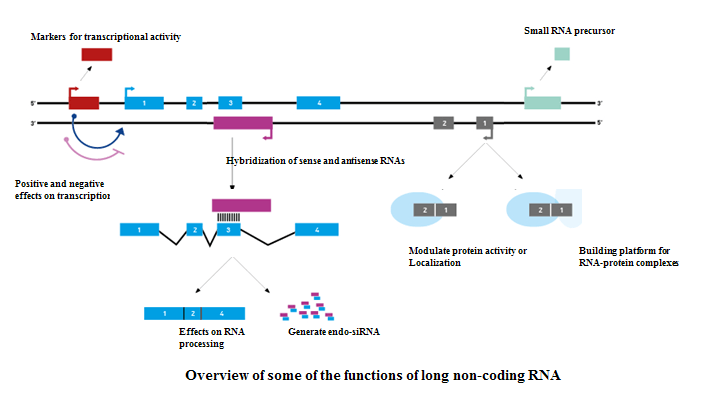 CD Genomics offers a comprehensive LncRNA (Long noncoding RNA) microarray profiling service based on some of the most powerful platforms in this field with unrivaled accuracy and sensitivity. Our step-by-step quality controls are designed to ensure you get the most reliable results. LncRNAs are a large and diverse class of transcribed RNA molecules with a length of more than 200 nucleotides that do not encode proteins. Their expression is developmentally regulated and LncRNAs can be tissue- and cell-type specific. A significant proportion of LncRNAs are located exclusively in the nucleus. LncRNAs are thought to carry out important regulatory functions, adding yet another layer of complexity to our understanding of genomic regulation. CD Genomics can also help create your own custom LncRNA microarray. We are ready to help you with your custom array needs, whether it’s a standard design or something more creative. So, what you need is just to send us your samples, we can offer you the qualified final report. For details, please feel free to contact us with any questions at any time by completing a no obligation quote request.